Federal Estate Tax is the money paid on amounts that are left to heirs when a person dies. It’s often considered the money paid for the right to pass money and assets on to others when you die. The person who receives money from a person’s estate has to pay a certain amount for taxes. In decades past, everyone had to pay a certain percentage of the money they received from an estate in taxes. It’s filed along with any other income at the end of the year. Today, only the estates with over 5 million dollars are taxed. That means only the wealthiest estates have to worry about that tax. The increase in the threshold amount means fewer people have to worry about their estate being taxed when they die. If you have a modest amount to leave to your children, you don’t have to worry about the federal tax on that money. The tax is determined by calculating the value of the items and subtracting the deductions allowed. Deductions can include mortgage and debts, property given to a spouse and charitable deductions. Losses during the funeral and estate administration are also considered deductions because it’s an expense. Once all of the deductions are calculated, the amount of the estate’s value will change. If calculated properly, the estate might not owe any taxes at all when before the deductions it might have been. A brilliant accountant will make sure that the estate gets to keep all its value when being passed down to heirs. It can be a little confusing, but heirs are not taxed on their inheritance. It’s not considered income, so it’s not taxed like income tax. The money given to the federal government for federal estate tax is taken out before the money is distributed to the estate’s heirs. Once calculations are done, the federal government will take its owed amount from the bulk of the estate before its even handed out to heirs at all. A good tax accountant will be able to save the estate from having to pay a large amount to the government. These workarounds work for unrealized capital gains. Instead of having to pay capital gains when the assets are sold, they’re transferred into qualifying trusts like a grantor retained annuity trust, or GRAT, where the assets would actually repay the estate beyond the interest amount set by the Treasury Department. 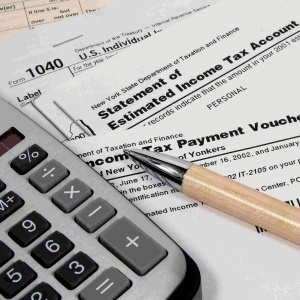 It’s a complicated procedure that an experienced tax accountant can set up for a client. Before a person dies, they can plan what kind of gifting strategies will help lower estate taxes. There’s an amount limit to the gifts, so that has to be planned out in advance. It’s important to have a plan when it comes to an estate even when it’s a small one that won’t be impacted by estate taxes. A financial estate plan will ensure that assets are distributed properly and future generations can benefit from the assets passed down upon death. The number of estates that are taxed declined from 73,100 in 2003 to 9,400 in 2012 because of the increase in the threshold. There are many ways accountants can help clients keep as much as their wealth as possible to pass on to their heirs.